The heroin haul and the weapons. 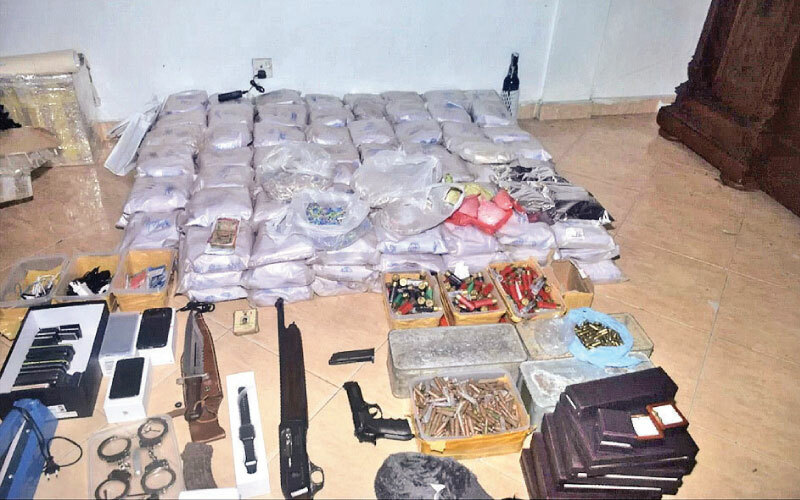 Unwavered by mounting death threats, the Special Task Force and police yesterday succeeded in recovering another haul of heroin weighing over 170 kgs along with 2,700 rounds of ammunition at a private residence in Rawathawatta, Moratuwa. Senior DIG and commandant of the STF M.R.Latheef said they have reasons to believe Kelum Indika alias Kevuma had lived in the first floor of this two storey house. They also found 2700 rounds of ammunition and several shotguns with over 270 rounds. The heroin haul is said to have a street value Rs.1800 million. Security has been beefed up around the location where the Rs. 5 billion worth diamond is stored after Madush’s accomplices vowed to pilfer it. Police investigation confirmed that Kelum had paid Rs.50,000 as rent for this house last July on the instructions of Makadure Madush and this heroin haul belonging to Madush. 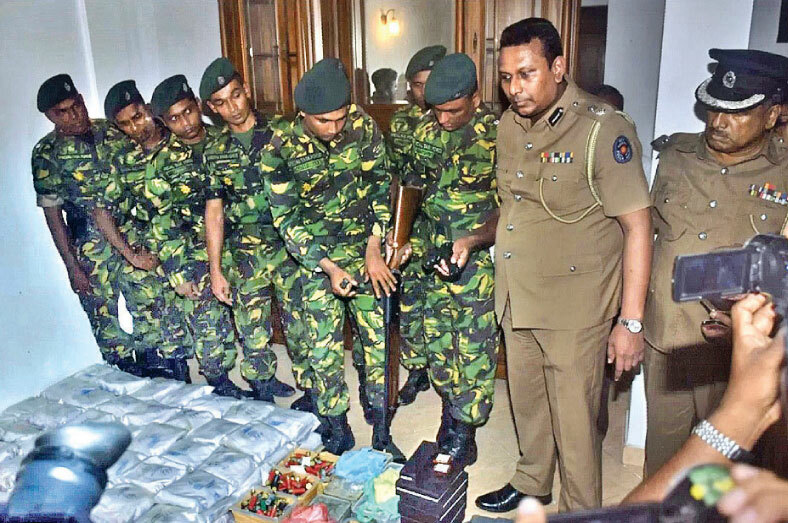 STF officials and Police Spokesman SP Ruwan Gunasekera inspecting the heroin haul.